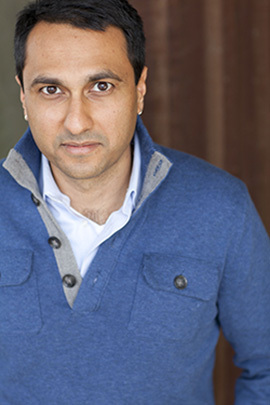 Wabash College presents noted author and activist Eboo Patel, who will talk about interfaith leadership and religious diversity, at 8 p.m., Thursday, Oct. 1, in the Pioneer Chapel. Patel, the founder and president of Interfaith Youth Core, will deliver an address titled, “Interfaith Leadership: Engaging Religious and Philosophical Diversity in the 21st Century.” The talk will expound on ideas from his book, Sacred Ground, where religious diversity and the faith line will be a defining element in the current century. A member of President Barack Obama's inaugural Advisory Council on Faith-Based Neighborhood Partnerships, Patel suggests the ability to navigate a more religiously diverse society could become a critical element of citizenship. The U.S. is already one of the one of the most religiously diverse nations in the world, and Patel feels that higher education can play a crucial role in preparing students to be productive members of a diverse society. With people of different faith backgrounds interacting with greater frequency than ever before, Patel’s core belief is that religion serves as a bridge of cooperation rather than a barrier of division. The Chicago-based IFYC seeks a society that fosters respect for people’s diverse religious and non-religious identities, inspires relationships between people of different backgrounds, and spurs common action for the common good. Patel has spoken about this vision at places like the TED conference, the Clinton Global Initiative, the Nobel Peace Prize Forum, and college campuses across the country.